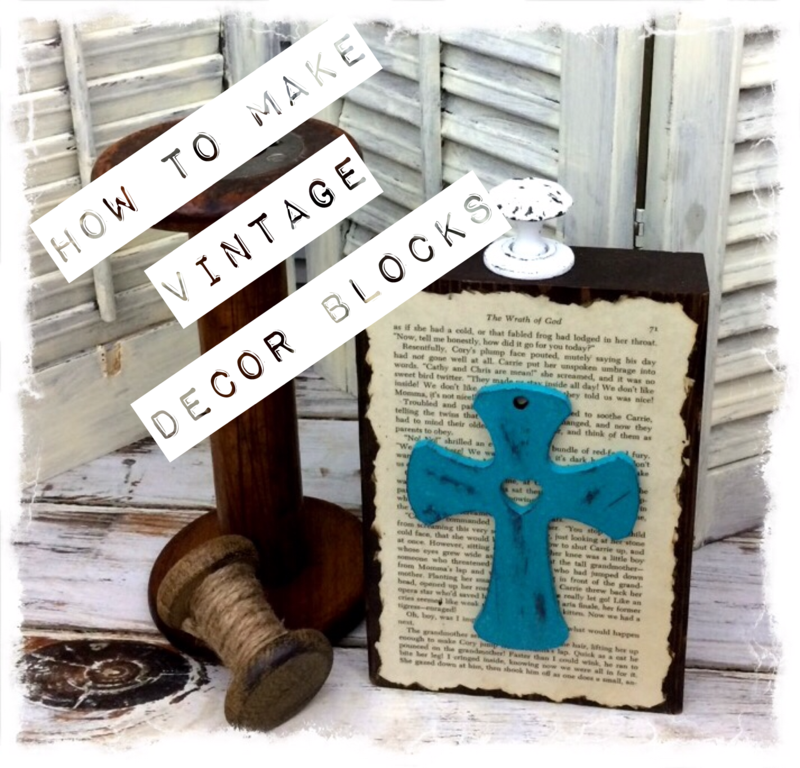 Here’s another diy vintage wood block decor. Back when I was making the wood block photo holders I kind of got hooked on these vintage blocks. They are a quick and easy diy project, and who doesn’t like quick and easy. 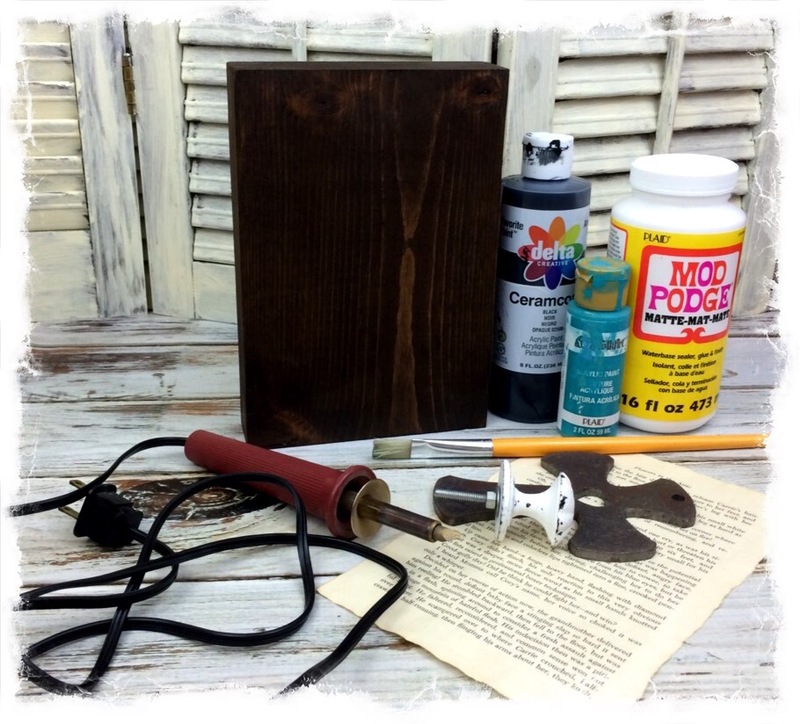 There are so many crafts you can make with these blocks, photo holders, Vintage Book Page Block Decor With Cross, home decor with crosses, paint something on them like a chickadee, stencil a word or script, etc. 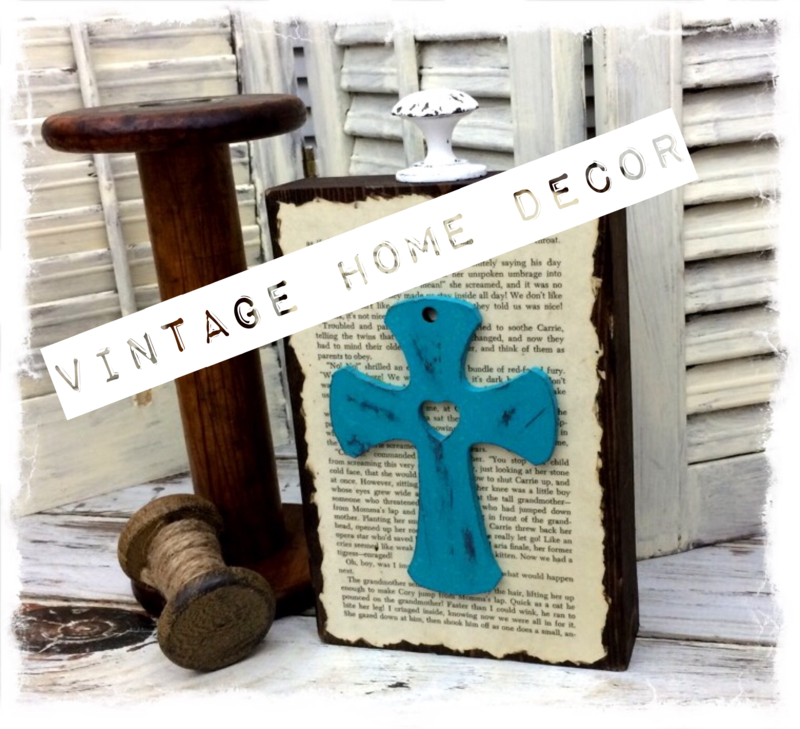 For this vintage block I decided to use an aged book page, and a flat metal cross. I used my wood burner to burn the edges of the book page. Then I used Mod Podge to glue it down on my block. Add another coat over top as well. 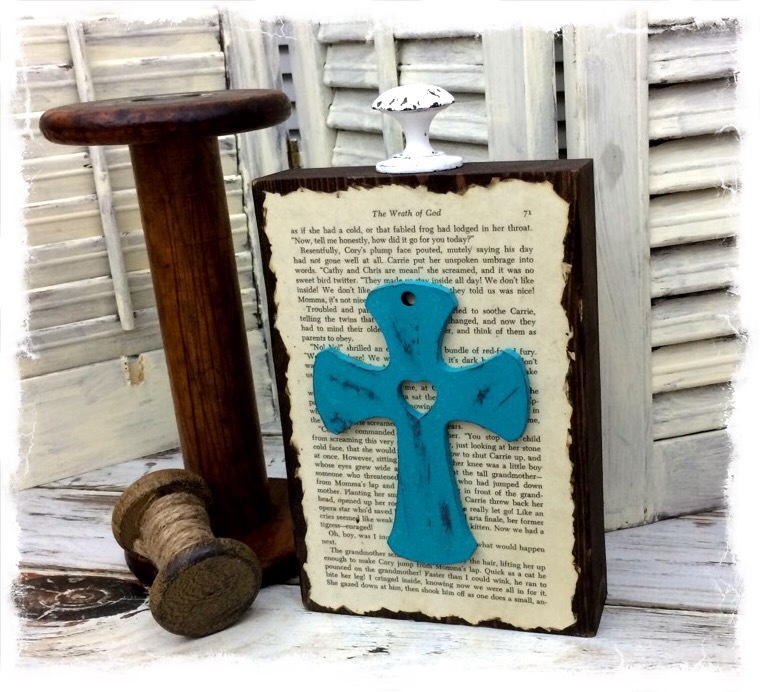 The metal cross I painted turquoise, then dry brushed some black acrylic paint over the turquoise in a few places. Lastly I drilled a hole in top center and added a vintage pull knob. Is there a particular craft project you love making, and can’t stop at just one? Such a great idea! This would be a great idea for presents for the upcoming Christmas holiday. Thanks Nichole! Yes this would make great Christmas gifts and there are so many way to dazzle them up and make them personal. That’s fun! 😀 Great DIY. Those are really cute! You are so talented! Thanks for sharing! I like the link up parties idea too! I am on blogger, so not sure you can do link ups to your site..I am thinking no? I am not brave enough to switch to wordpress yet.! valerie recently posted…Once Upon a Time in Stevetson B.C. I don’t really know anything about blogger, I do have an account and I share my post on it but that’s about it. Thanks for stopping by! Oh my goodness, this is insanely gorgeous. You just gave me a brilliant idea. I really can’t get over how gorgeous it is! Thanks Nicole! Don’t forget to share once your done. Would love to see what you made. I love that that’s so easy! I have a woodburner that I haven’t used in years…need to get that back out & experiment with it. Where did you get the cross? Thanks Florence! My woodburner had set for years too until this project. I believe that I picked this cross up at the Canton trade day.